It's been a full on Wet Season so far, with rivers up, and an early and active cyclone season what we have seen until now. 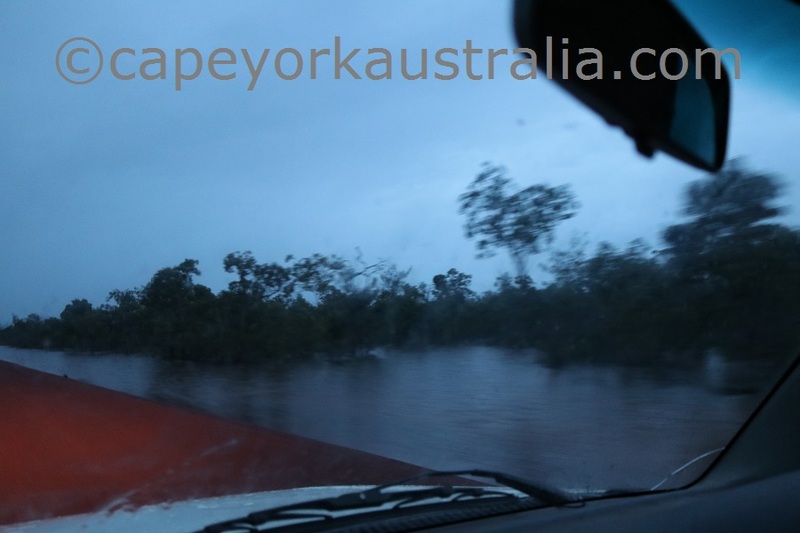 The last two Wet Seasons have been full on, compared to a few before, when we used to drive down to Cairns from the Tip almost every month through the Wet and not be stopped by the rivers. Last year was bad enough, but this year will likely be bigger in total as it started exceptionally early (even compared to last year). 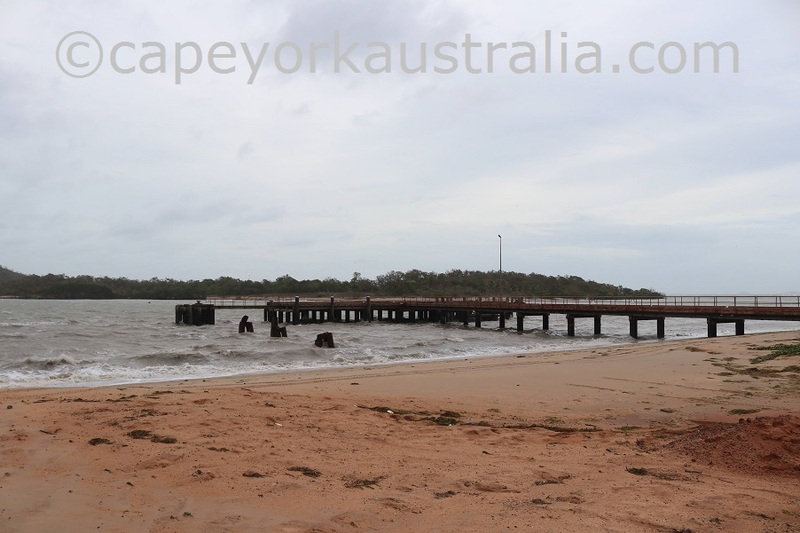 Seisia wharf during the January 2019 cyclone Penny. Now is the usual time for the cyclones to start. During the last 10 or so years the cyclones have usually started in late January / early February, not in early December like this season. 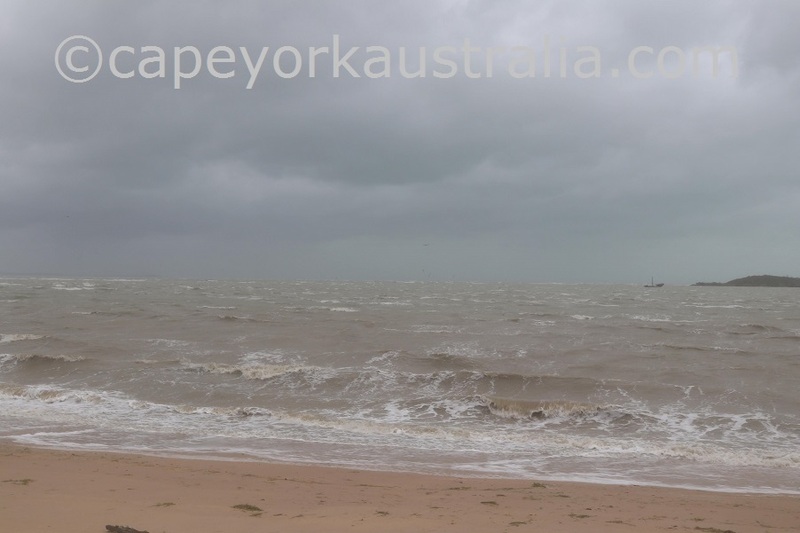 Seisia beach during the January 2019 cyclone Penny. 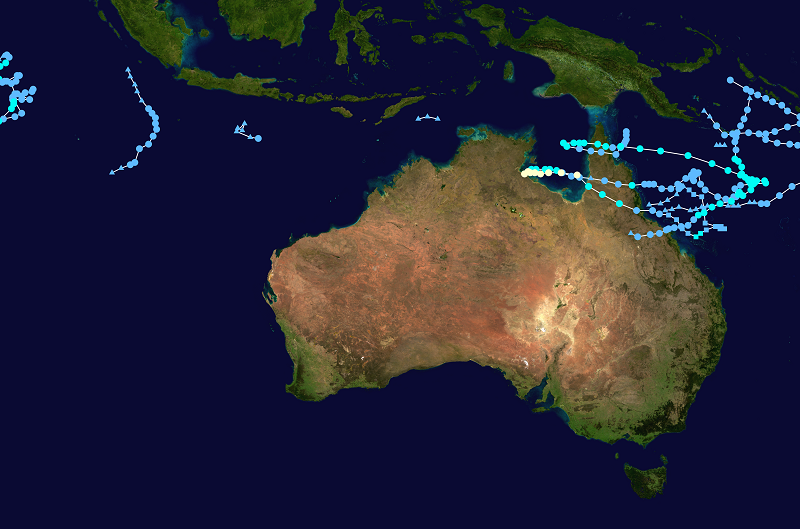 By now, in our corner of Australia we have had two cyclones - Owen and Penny crossing the peninsula, both twice. The tracks of Owen and Penny. Image Wikipedia Public Domain. 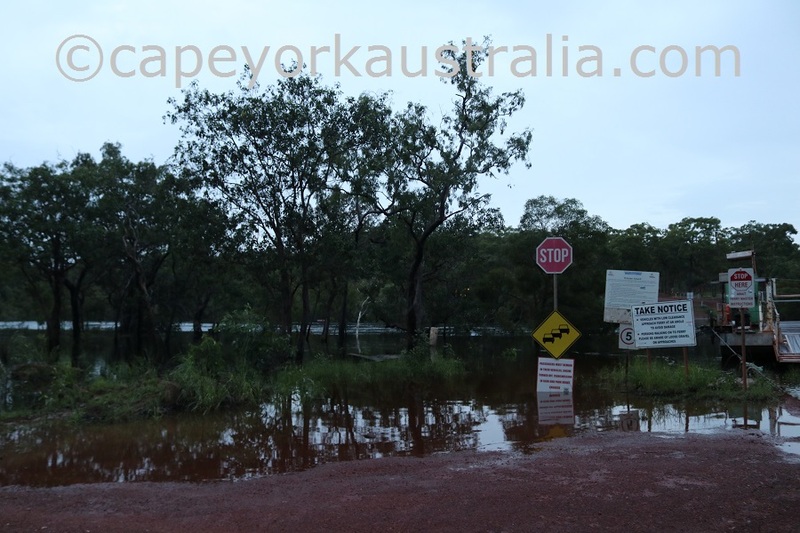 All this has already caused major floods with all the large rivers on the main road up - over the banks, bridges and causeways, some more than 10 metres up at times. 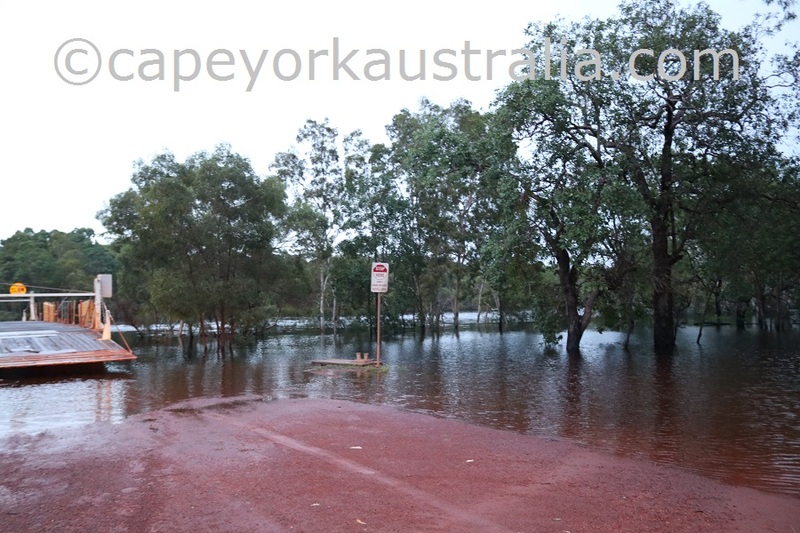 Jardine River this week - over the banks, and the ferry is not operating. 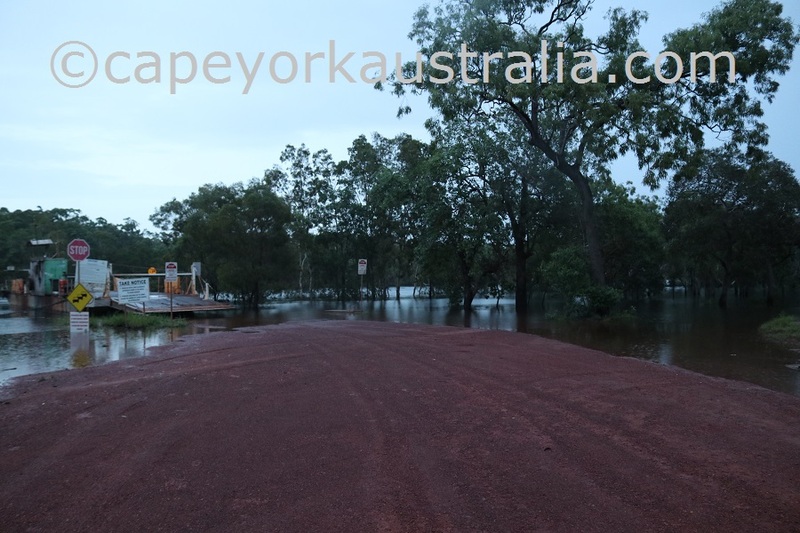 Laura River has been up way over the bridge just lately, like the creeks and rivers further south, as the Cairns area copped a major drenching within the last week. 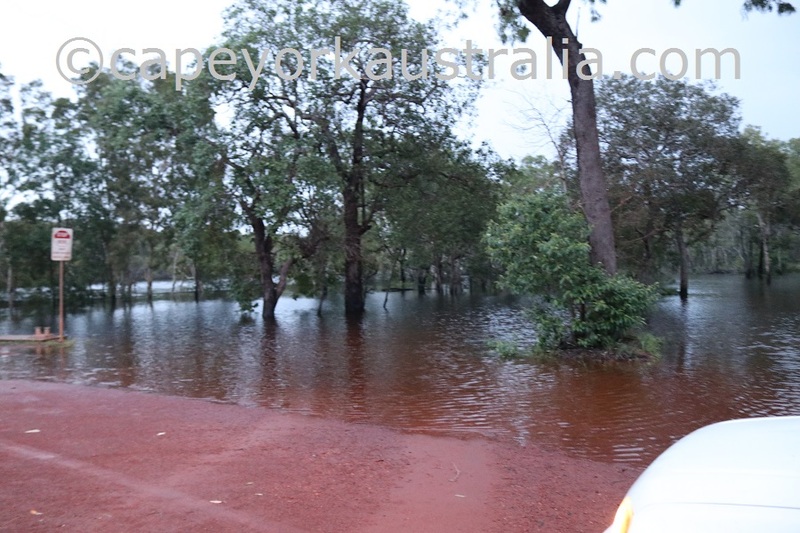 Jardine River ferry crossing this week. Archer has been up high over the causeway and claimed a few vehicles so far. Wenlock crossing at the Moreton Telegraph Station has been 14 metres up - way over the bridge. Jardine is up over the banks and the ferry is not operating. Roadsides on the way down to Jardine River this week. 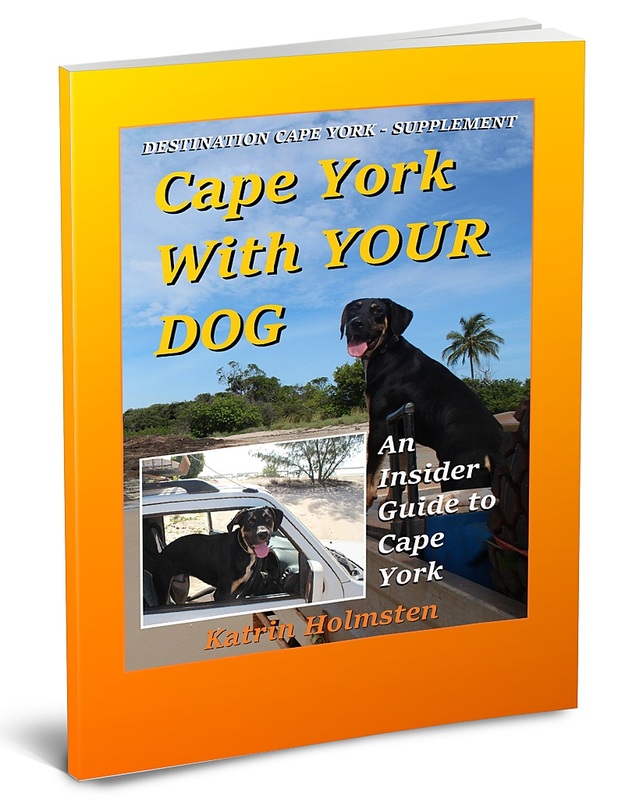 So, it's the office-work season and the Doggy Guide 2019 is out, with everything that has changed since last year, updated. Which extra vaccinations you might like to consider for your fur babies while up here, as some doggie diseases thrive extra well in our hot and humid tropical climate. 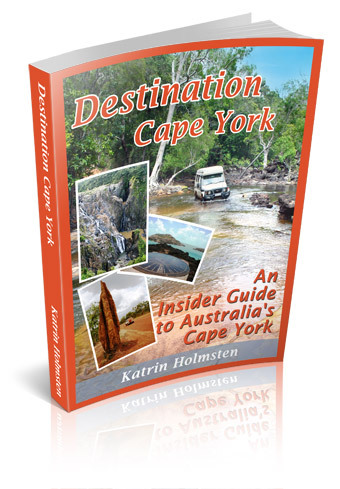 If you don't - the Dog Guide (just like the Caravan Guide) is a supplementary guide to the main Destination Guide and only available inside the main guide once it has been purchased (because of the amount of detail and updating work involved, no other way would be viable). 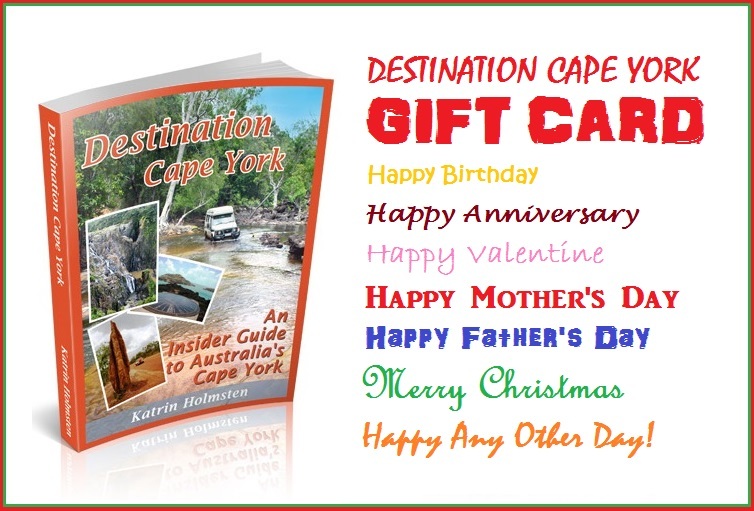 And last but not least - please be patient this time of the year with email answers. It is the office season and I do try to keep the emails answered as soon as I can. This season, however, also means that I can have an overload of email, particularly after any new or updated Guide releases but also in some other times. If my answer takes some time, please rest assured that I am working on the load and your email is in the queue.